Heroic achievement while serving as Explosive Ordinance Disposal Security Unit Commander, Guard Force Platoon, Headquarters and Service Company, 3d Battalion, 3d Marines, Regimental Combat Team-7, I Marine Expeditionary Force Forward, from march to September 2006, in support of Operation IRAQI FREEDOM. Corporal Parkinson led his section in an exemplary manner during 308 combat missions responding to 150 improvised explosive devices, 45 un-exploded ordnances, 75 post-blast analyses, 21 weapons caches, 12 quick reaction force responses, and three improvised explosive device strikes. On 14 May 2006, he displayed uncommon bravery and leadership in the response to an improvised explosive device strike. During the attack, he called in the casualty evacuation report, cordoned the area, and recovered the casualties. He provided valuable input from lessons learned to the entire battalion for countering improvised explosive devices as well as understanding the enemy standard operating procedures. 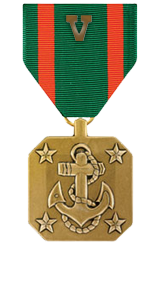 Corporal Parkinson’s initiative, perseverance and total dedication to duty reflected credit upon him and were in keeping with the highest traditions of the Marine Corps and the United States Naval Service. 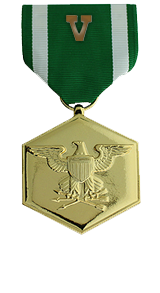 For heroic achievement in connection with combat operations against the enemy while serving as squad leader, Company I, 3d Battalion, 3d Marines, Combined Joint Task Force-76 from November 2004 to June 2005. On 24 December 2004, Corporal Parkinson’s squad was ambushed by Taliban forces employing small arms and rocket propelled grenades from an elevated position. During this attack Corporal Parkinson’s quick and decisive action led to the capture of several Taliban forces. On 12 March 2005, while manning an observation post in the village of Salar Ban, Corporal Parkinson’s squad was attacked again. With two Marines in his squad wounded by rocket propelled grenade fragments and with no corpsman present, Corporal Parkinson attended to the Marines while simultaneously calling for 60mm mortar fire on the enemy. During another enemy attack on 23 March 2005, Corporal Parkinson ran from his fortified position, exposing himself to enemy fire in order to locate a position to more effectively support his platoon by fire. Corporal Parkinson’s courageous actions and complete dedication to duty reflected great credit upon himself and were in keeping with the highest traditions of the Marine Corps and the United States Naval Service.